Kathy has been playing the flute for thirty five years. From classical beginnings at the Conservatorium of Music High School to a lengthy dalliance with folk music, she has enjoyed playing with a large variety of groups including Back Blocks, the Heritage Ensemble, Loosely Woven, Bad Wallaby, JH Dance Band, Bell Bird and Fair Dinkum and various musical societies. 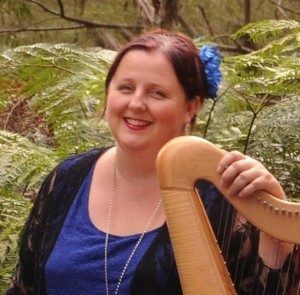 She has recently developed a passion for the harp and is experimenting with different musical styles. She is very happy to be able to tick ‘start your own band’ off her dwindling list of things everyone should do. 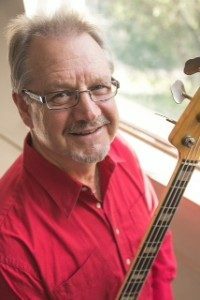 A versatile musician, Kim has played bass, guitar and drums across a range of musical genres, including folk-rock, bush music, stage musicals and pop rock. Although he learned piano and violin as a youngster, which gave him his musical grounding, it was that great 60s and 70s rock music that led him to playing bass, drums and guitar whilst singing in various Sydney cover bands for many years.In relatively recent times Kim has been introduced to Australian bush and folk music with its more than passing reference to Irish, Scottish and Celtic tunes, as well as the dusty outback and Australian history. Kim played drums and guitar firstly with the Sydney Coves and then added bass with McMahon Bros. and Snake Gully Band. A talented singer and songwriter who is happy to turn his musical hand to all sorts of musical projects. Leo can’t remember much about his first piano teacher except that she had a habit, a wimple and a sturdy ruler. He continued his musical education with private teachers, notably Madame Sture, and achieved the AMusA diploma in piano under the tutelage of Lynette Morgan. He started playing piano accordion in the late 70’s for Blackwattle Morris, Albion Fair and Sydney Playford Dancers. He vamped for Captains Whiskers and The Old Empire Band whenever there was a piano available. Leo concentrated on family and work commitments but was enticed back to playing again in the late 90’s with Far Fetched, later joining Sydney Scottish Fiddlers, Bon Accord and Snake Gully. 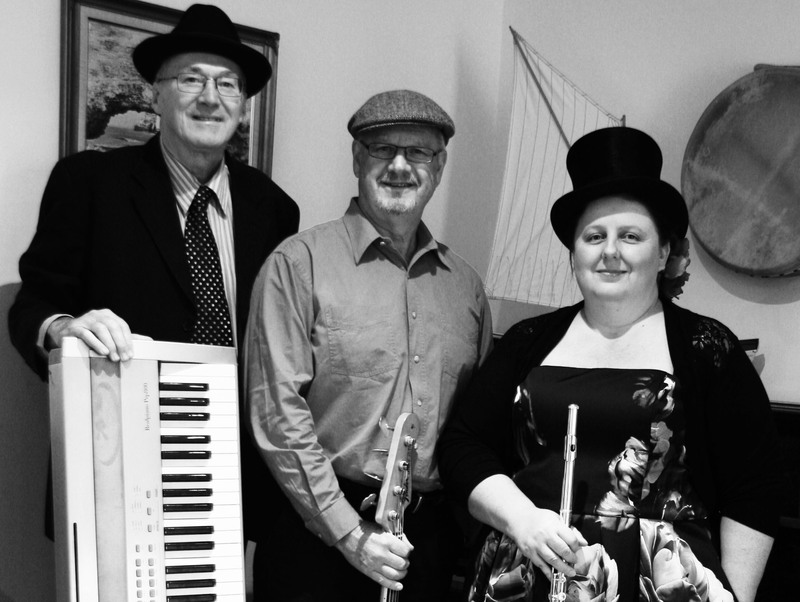 Leo has also been keyboardist for the IBM Big Band, Musical Director for Dural Musical Society and co-producer of Norm Merrigan’s inspirational Rolling Wave Suite. 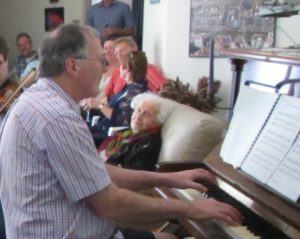 Leo is now enjoying a full musical life in retirement : singing with the Sydney Philharmonia Festival Chorus, Piano Convenor for the Ryde Eisteddfod and Treasurer for the Schureck Historic Keyboard Concerts. David has been dancing for more years than he will currently admit, and in more styles than most people know exist. He loves sharing his passion for dancing with all the people who come to Short Dented Potts’ dances and he never tires of telling people exactly what he wears under his kilt (but you will have to come to the dance to find out).